One of the best ways to see Australia is on a self-drive road trip. Driving Australia can be easy on most routes but you need to be prepared for long distances, road rules, 4WD tracks and outback roads you might travel, so GPS navigation will come in handy many times. If you are wondering which navigation to choose, read a short report from Milan Tibensky, who travelled Australia with Sygic GPS Navigation. On my trips through Australia I have been looking for the best GPS navigation to move around. I have tried a couple of smartphone apps and also one quite expensive car navigation. At last, I ran across the Sygic GPS Navigation. It was listed on Google Play as the most popular GPS navigation app, so I downloaded its 7-day trial and used it for a while. High-quality offline TomTom maps in your pocket – When I was driving through the Northern Territory, neither Google maps, nor the $300 car navigation from rental company could tell me where all the beautiful falls, rocks and views are. The affordable smartphone GPS navigation Sygic not only knows where all the cool spots are and how to get there, it also warns you whenever you need a 4x4 (and quite often you will!). No more speeding tickets – to get a $165 fine because you went 10km/h above the speed limit – that´s quite Australian. 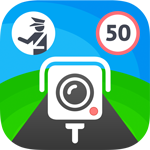 To save you lots of money for speeding tickets, Sygic warns you whenever there is a speed camera ahead. Their community-reported database is growing every day and already contains more than 60 000 fixed speed cameras all over the world. Petrol stations – In Australian outback, gas stations are quite rare. That´s why whenever you go long distance, you want to refill every time you see a gas station - regardless of the fuel price. Sygic contains positions of most gas station all over the country, so you will always know where to fill up along your route. Parking – when you find yourself in the center of Melbourne or worse, Sydney, parking can get pretty difficult and expensive. It´s not an exception to run into a parking garage with $20/hour fee, as I did once. Fortunately, Sygic will show you the parking lots closest to your destination with their rates, so you won´t get stuck for hours looking for a parking spot. No more traffic jams – big cities can get quite busy in peak times. 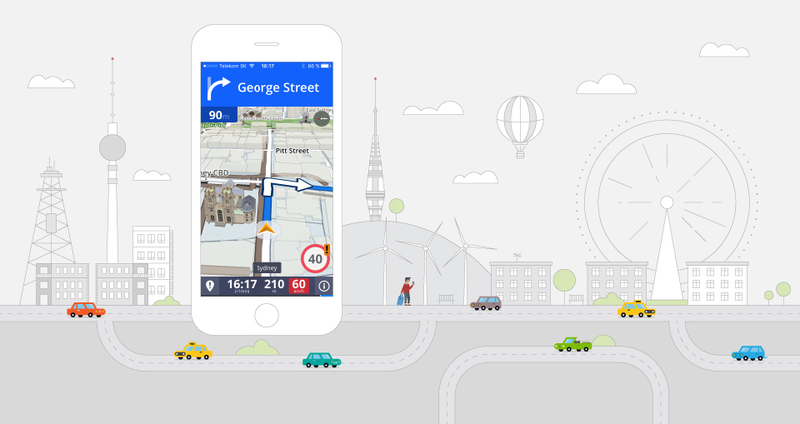 Sygic offers Traffic service that shows you the current situation on the road and navigates you to your destination via the fastest possible route. Still not enough? Sygic added a couple of new features lately such as the Dashcam recorder. But the best part is that the Sygic GPS navigation for the entire world starts at only € 29.99 and is available for Android, iOS and Windows Phone. Want a proof that it really works? Just download the trial of Sygic GPS Navigation and try it for 7 days for free.